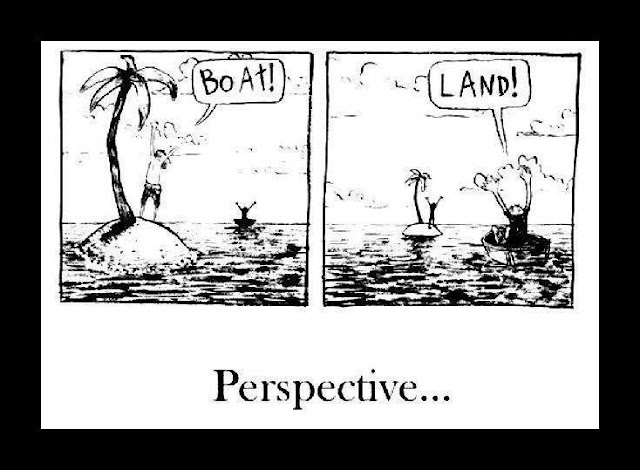 Our Perspective On Life Should Be Like This! ​#MustRead !! - Shared for the dreamers who lost their life’s on Saving for future life...realized something... As the dream of most parents, I had acquired a degree in Software Engineering and joined a company based in the USA, the land of braves and opportunity. When I arrived in the USA, it was as if a dream had come true. Here, at last, I was in the place where I want to be. I decided I would be staying in this country for about Five years in which time I would have earned enough money to settle down in India. My father was a government employee, and after his retirement, the only asset he could acquire was a decent one bedroom flat. I wanted to do something more than him. I started feeling homesick and lonely as the time passed. I used to call home and speak to my parents every week using cheap international phone cards. Two years passed, two years of Burgers at McDonald's and pizzas and discos and two years watching the foreign exchange rate was getting happy whenever the Rupee value went down. Finally, I decided to get married. Told my parents that I have only ten days of holidays and everything must be done within these ten days. I got my ticket booked for the cheapest flight. Was jubilant and was actually enjoying shopping for gifts for all my friends back home. If I miss anyone, then there will be talks. After reaching home, I spent home one week going through all the photographs of girls, and as the time was getting shorter, I was forced to select one candidate. In-laws told me, to my surprise, that I would have to get married in 2-3 days, as I will not get any more holidays. After the marriage, it was time to return to the USA, after giving some money to my parents and telling the neighbors to look after them, we returned to the USA. My wife enjoyed this country for about two months and then she started feeling lonely. The frequency of calling India increased to twice in a week sometimes three times a week. Our savings started diminishing. After two more years, we began to have kids. Two lovely children, a boy, and a girl were gifted to us by the almighty. Every time I spoke to my parents, they asked me to come to India so that they can see their grandchildren. Every year I decide to go to India… But part work part monetary conditions prevented it. Years passed by and visiting India was a distant dream. Then suddenly one day I got a message that my parents were seriously sick. I tried, but I couldn't get any holidays and thus could not go to India ... The next message I got was my parents had passed away and as there was no one to do the last rights the society members had done whatever they could. I was depressed. My parents had passed away without seeing their grandchildren. My wife refused to come back with me, and my children refused to stay in India... My two children and I returned to the USA after promising my wife I would be back for good after two years. Time passed by, my daughter decided to get married to an American and my son were happy living in the USA... I decided that had enough and wound-up every thing and returned to India... I had just enough money to buy a decent 02 bedroom flat in a well-developed locality. Now I am 60 years old and the only time I go out of the flat is for the routine visit to the nearby temple. My faithful wife has also left me and gone to the holy abode. Sometimes I wondered was it worth all this? My father, even after staying in India, Had a house to his name and I too have the same nothing more. I lost my parents and children for just ONE EXTRA BEDROOM. Looking out from the window I see a lot of children dancing. This damned cable TV has spoiled our new generation, and these kids are losing their values and culture because of it. I get random cards from my children asking I am alright. Well, at least they remember me. It is really a heart touching post. Actually what is more important in our life? Job, money or happiness? I think happiness is the most important at the end of the day and everything is directly or indirectly related to it. I saw a tweet a few days ago by Arman Malik. Here is the tweet. People today are slowly realising that happiness is everything & that the superficial things in life have no meaning at the end of the day. I know I'm not the luckiest boy in the world. But it's me... your old friend. I'm a bit scared and worried to write to you now, with all the things happened in last one year. But anyway, I will. I never wanted to lose you. That may not matter to you. But you mean a lot to me. You were, even you are. As far as I can remember we had a friendship of 7 years. Do you remember when I asked you for your contact number just in front of your school? I faced some painful moments. When I left my college. I was depressed. People called me spoiled. I can't remember I had shared all these with you or not? And yes, I abused you, told you something bitter. Please delete my mistakes and these bad memories. And that's why I go along.. just for you. I know I have changed. But I also know that I can't stay an 18 years old boy forever. I know that you also cried when I abused you. I feel ashamed for that moment. Now maybe I'm nothing to you. But really mean a lot to me. I wish I had the time and opportunity to spend an afternoon with you. But I can't. And trust me when I told you those, it hurt the same as you got. You did a lot for me. You made me smile when I was sitting alone in my room, and there was nobody to talk with me. You asked me to come in front of your school. I gave you some lame excuse which I can't remember now. You made video calls sometimes. We could not hear each other, but we waved our hands. Do you remember that? I know that you needed to spend an afternoon with me on the couch, watching a movie embraced and talked about everything that made you feel sad. But I can't give you this. I can't fulfill the things that you deserve. Believe me; I'm dying inside. I made so many mistakes in this period. Sorry if I'm not perfect. I know you have been spending so many painful moments. Back to the consequence, we do everything so that we can be happy... and most of the thing is related to money, so sometimes, we get confused, what is actually important, money or happiness? I was very ambitious from my childhood. Even a few years ago, I wanted to ride Audi, Mercedes at any cost, owned or hired whatever. Things are going changed now. I'm gradually far away from materialism. Riding a BMW does not attract me like it before, or spending a night in Taj hotel, Maldives tour. I still want them, but they are now not my priority. Instead of these, I feel depressed, that I don't do almost anything for my family, for my relatives, needy people near my area. When someone begs for money for himself or some charity, trust me, it hurts me a lot. Shame! I am unable to fulfill their needs. Unfortunately, I'm not a soldier, army, Kolkata police, or Mumbai police. They serve for our country. They are the pride of our country. And we all should remember that we are not only the citizen of my city, or state or country, but we are the global citizen. The earth is ours, and we must save it. Charity begins at home. So start with something small. You may laugh a 25 years boy are dreaming for his country and not about his job. Well, I was fully focused on my job or business whatever you said when I was 19-20. Right now I think that just like I make some dollars, in the same way, I should spend some dollars also for our needy people. Last year, our school's Saraswati puja's pandel was not pretty good, and I was disappointed seeing it. If possible, I will donate 4-5k rupees there so that my little brothers and sisters get happy. Yeah once I was at that age, and I know that feeling. Even I don't want to disclose my name there, but I will be happy when people will say- KUEHS's pandel is really awesome. They made it great. Every friend of mine has college life, university life, job life, going to another college to attend job exam except. I had only school life. And then almost nothing. They have emotions for each, but I have only one, that is my school. When I was in my school, I was really very shy and unpopular boy. But now the teachers are not only teachers to me, but they are also like my family. It may be that, we don't meet frequently, we can't spend a lot of time together, but they bless me. 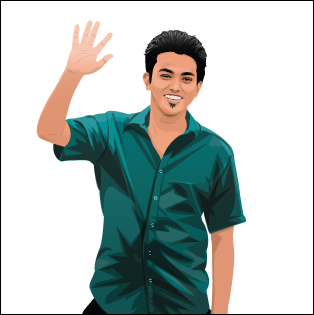 I still remember my computer science teacher- Amiyo sir, who loved me most. I really want to meet them again. Don't know when it will come. What do you think about me? A motivational person? A few months ago a person told my mom- your son is very sensitive, take care of him. I sensitive, I'm emotional, sometimes maybe I'm rude- please forgive me for those moments. Many people think I'm arrogant. I will request them to spend a single day with me, and you will understand that I'm really a soft-hearted person who loves people. Okay, no more now. I have few social media channels. You may contact me there; you may text me in Skype also. I really love to hear from you. Thanks. Yours, Sourajit.